The world’s great cities: Athens, Isfahan, and Rome. Back up. Isfahan? Unlike most of these masterpieces, Isfahan isn’t on the well-traveled tourist route. College students don’t yearn to study abroad there. Its elegant buildings haven’t become icons that adorn postcards and trinkets. In fact, you probably know very little about Isfahan. There’s only one reason for this: Isfahan is in Iran. 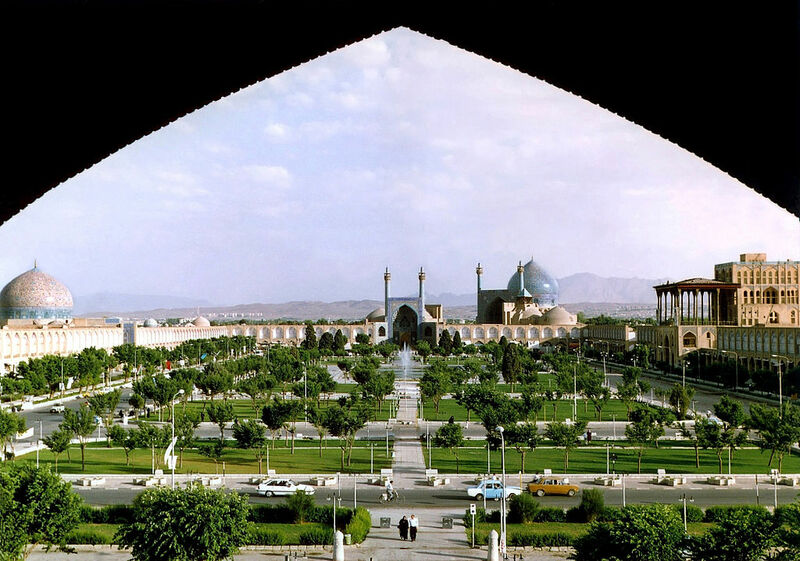 The heart of Isfahan is Imam Square. It’s the world’s second-largest plaza after Beijing’s Tiananmen Square. Polo matches were held there 400 years ago. Now it’s surrounded by two-story arcades with pointed-arch façades; gardens and fountains fill the center. On the southern end of the square, Imam Mosque is one of the great masterpieces of Persian architecture. Built during the Safavid period, the mosque has a towering arch, a double-shelled dome, colorful mosaic tiles, and calligraphy inscriptions. Though marvelous, it’s not even the prettiest mosque on the square. Sheikh Lutfollah Mosque, on the east side, is a smaller place of worship that was built for the royal family. It’s filled with artwork, detailed mosaics, and cream-colored tiles in the dome that look pink as the sun sets. Ali Qapu, Isfahan’s grand palace, stands opposite Sheikh Lutfollah Mosque. Many of the palace’s paintings and mosaics were destroyed during the Iranian Revolution. The double-high terraces still provide the best view of Imam Square, though. One palace still intact is Chehel Sotoun. The entrance of “the palace of 40 columns” has 20 wooden pillars; the reflecting pool makes it look like 40. Chehel Sotoun has sculpture-filled gardens, as well as frescoes and ceramics in its Great Hall. Nearby, 11 bridges cross the Zayandeh River. 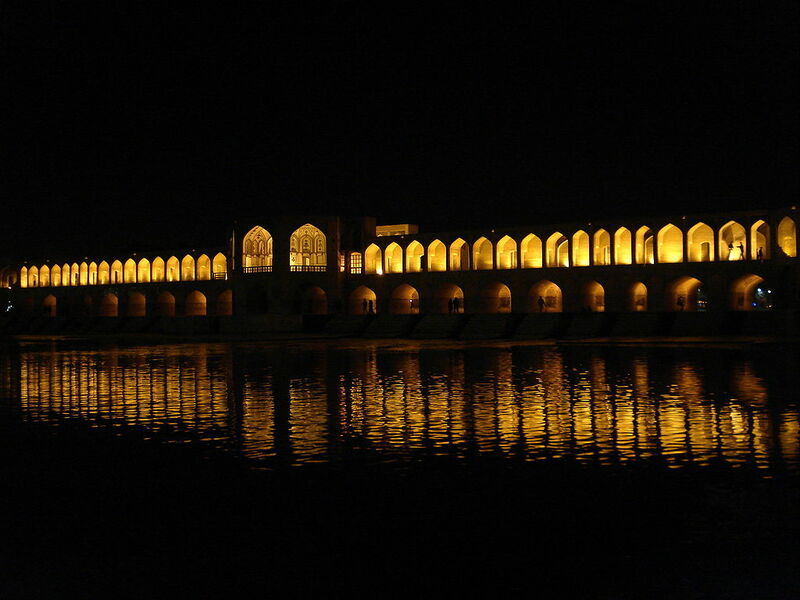 Khaju Bridge, the finest of them all, has 23 arches, a stone fountain, and a seat for Shah Abbas. Now, as the sun starts to set and the temperature cools down, it’s a popular meeting place. The Grand Bazaar, sections of which are nearly 1,000 years old, sprawls between narrow passageways for nearly two kilometers. And the city also has an Armenian Quarter, Julfa, where Christians were allowed to live with religious freedom. Vank Cathedral, one of the first churches built in Isfahan, has both Christian imagery and Islamic tiles inside. Since the Iranian Revolution, a great city has been largely cut off from the rest of the world. Here’s to the hope we’ll be able to visit Isfahan during our lifetime.